Create something spectacular with just a fresh coat of paint. 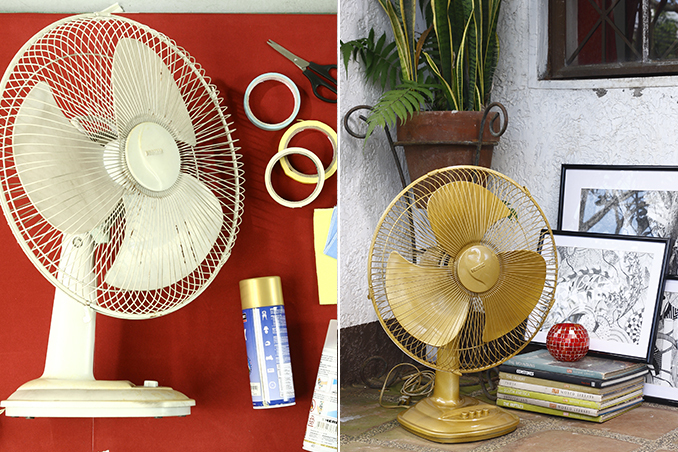 Check out this simple project that you can do with an old fan. Crafts by Paula de Guzman, Dagny Madamba, and Tala Singson. Photographed by Jun Pinzon. Read the original article ("In Full Color”) in the February 2013 issue of Real Living Magazine. Download your digital copy of Real Living on the Real Living App now! Log on to summitnewsstand.com.ph/real-living for more details.